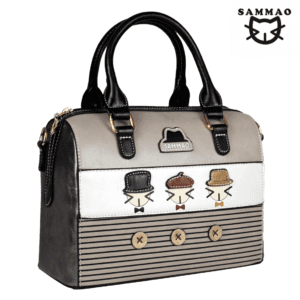 Modern black and silver leather grab bag. 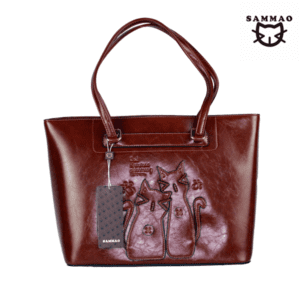 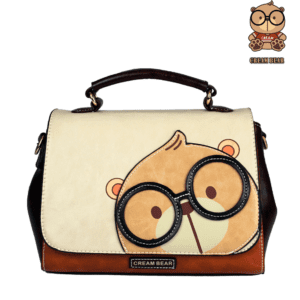 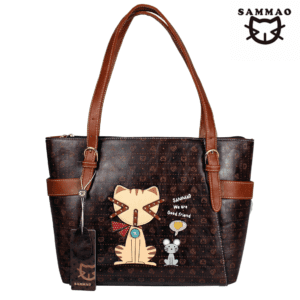 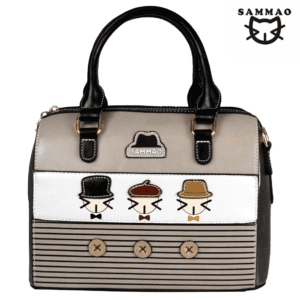 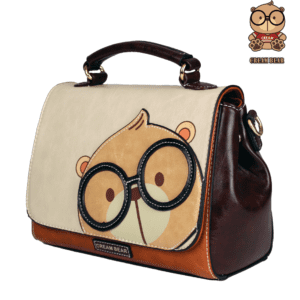 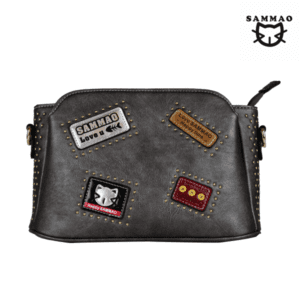 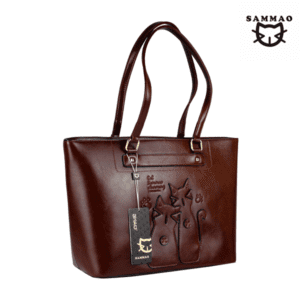 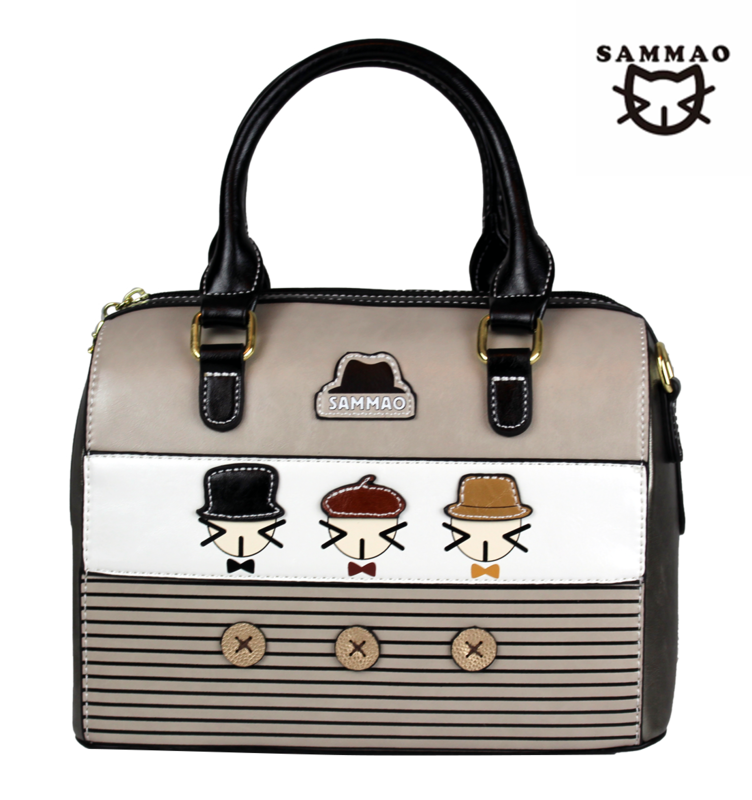 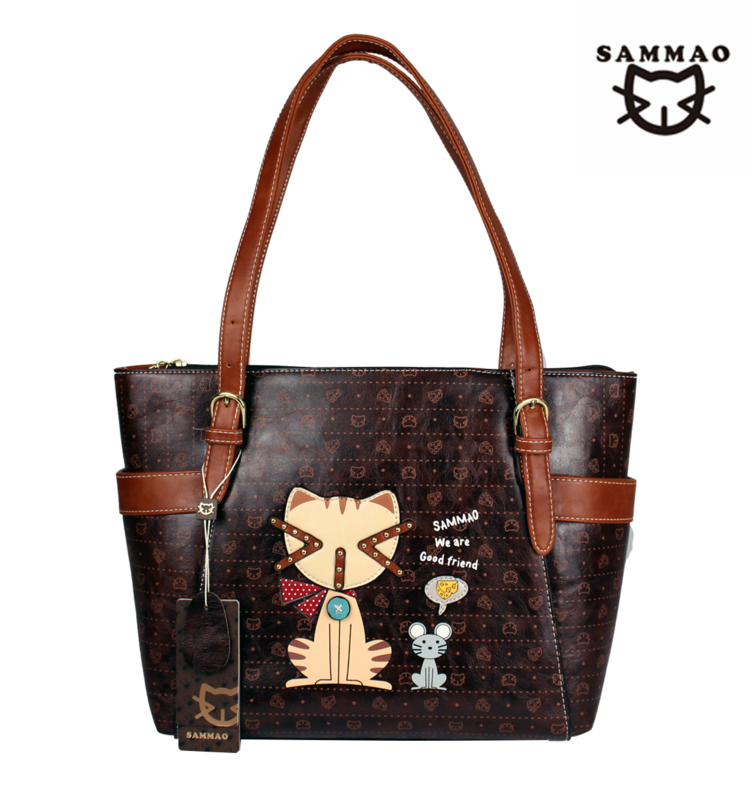 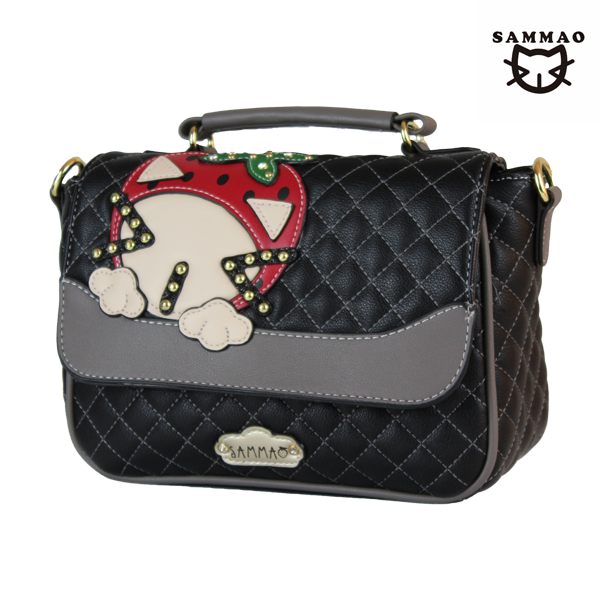 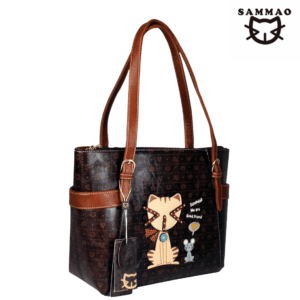 The bag features a lovable cream bear chasing a honey bee and a gold studded SAMMAO print. 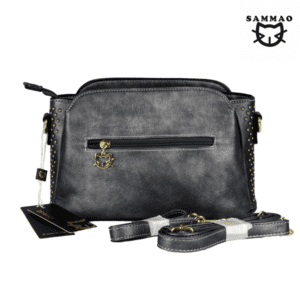 The bag also comes with a detachable shoulder strap.